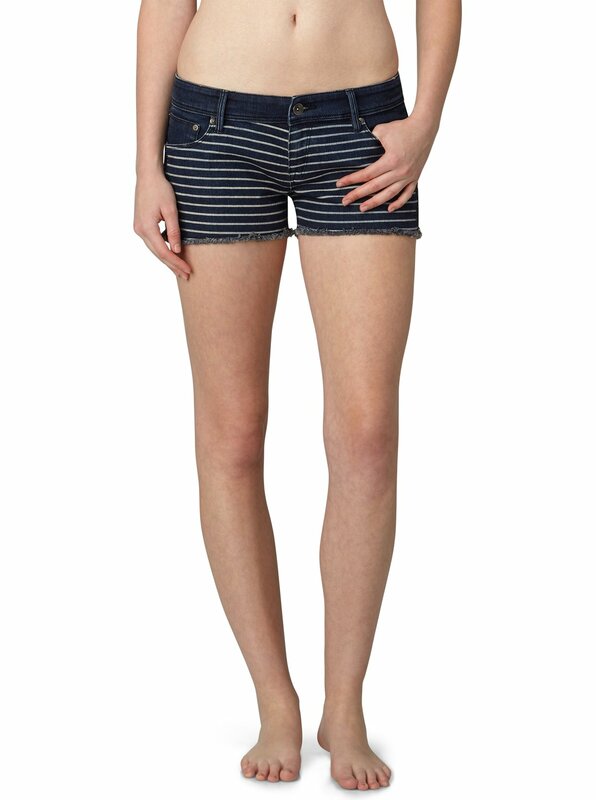 Nothing says easy-going like a great pair of cut-off denim shorts. But these cuties offer something extra with discharge print stripes and frayed hems. 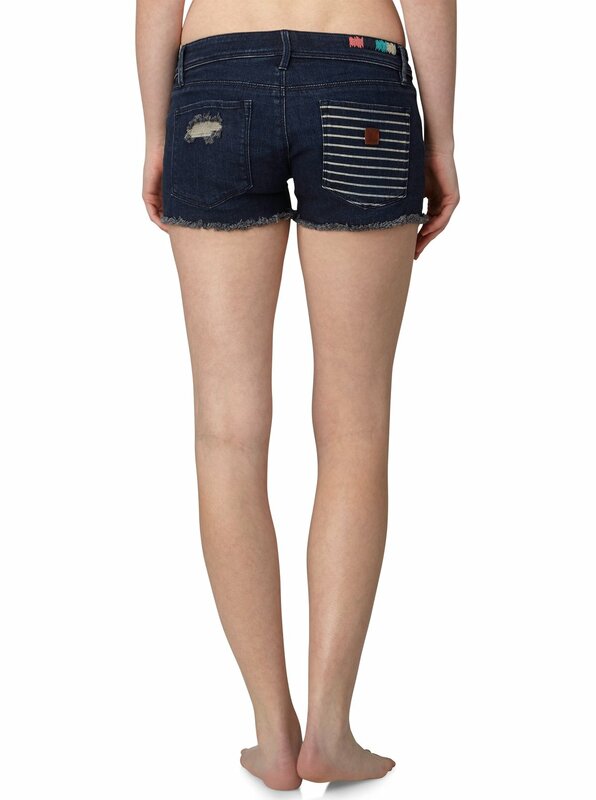 All your favorite style points are here too, including a 5-pocket fit, frayed hems, and a zip fly. 2.5-inch inseam. 98% cotton/2% spandex stretch denim. Imported. Machine wash.